Dinner party, cocktail party or game day food, meatballs can be dressed up and taken anywhere. No matter how you enjoy them, you will enjoy them. My munchkin gets so excited to eat meatballs, she says "Mommy, I love meatballs. They taste like candy". Well these ones do for sure! Sweet and sour meatball poppers can be served over a delicious scoop of jasmine rice with a side of snow peas for dinner, or with as a fabulous appetizer. My husbands loves these meatballs poppers on Hawaiian rolls, they make delicious sliders. 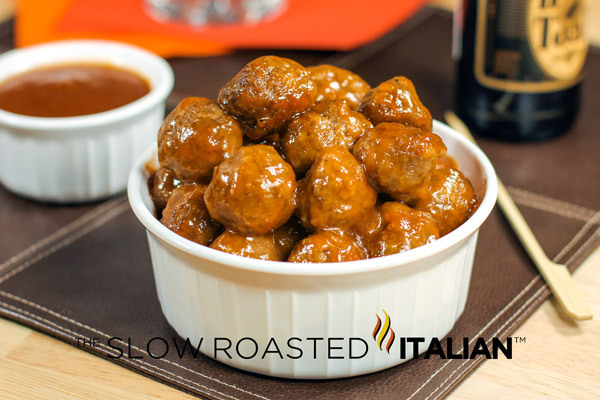 The sweet and sour sauce is absorbed into the meatball as it cooks, creating an incredibly flavorful meatball, you certainly won't be able to eat just one! Check out these delicious appetizers for your party, or anytime! Click on the link or the picture to open link in a new window. Delicious 7 Layer Mexican Bean Dip - featuring, rice, beans, salsa verde, spicy chicken, enchilada sauce and cheese cheese cheese!!! 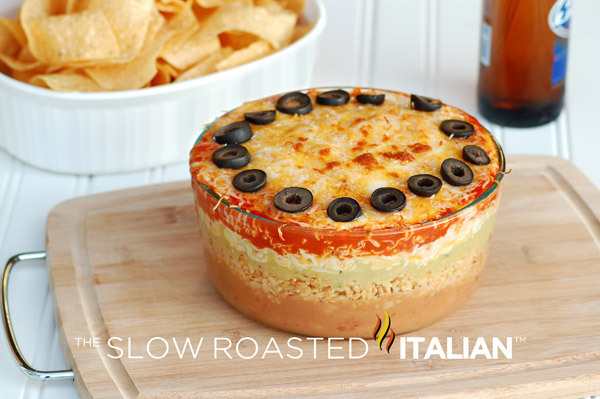 Fabulously Easy 4 Layer Pizza Dip, perfect for any party, happy hour or an anytime snack! This dip is so simple and out of this world delicious!!! Potato skins with an amazing Italian twist. 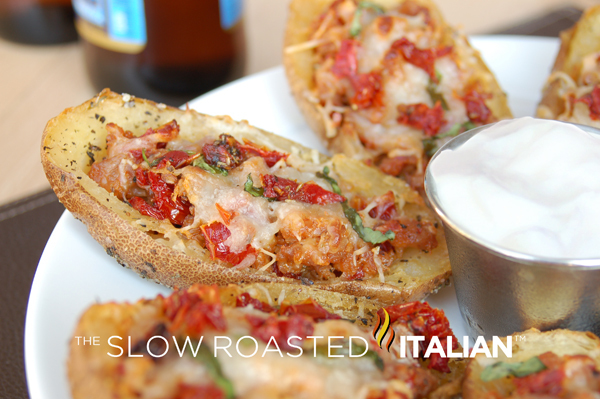 Italian Potato Skins are packed with spices, sausage, cheese and sun-dried tomatoes they are undeniably delicious! Combine ingredients and mix with hands to combine. Using a 1 tablespoon scoop to portion, lightly shape the scoops into meatballs using your hands to roll them. Place in a 9x13 baking dish. Cover with sweet and sour sauce. Bake for 30 minutes. 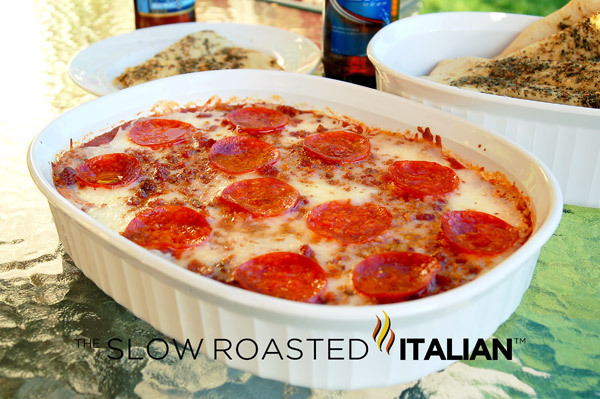 Remove from oven, serve and enjoy! Well that just sounds delicious! These would be addictive. I'm allergic to pineapple. Is there something I can use in it's place? You could try orange juice, but the flavor will change. Let me know how it goes!